ORLANDO, FL — Hard Rock International announces plans to open its fourth property in Florida, bringing the brand’s iconic vibe to Daytona Beach in late 2017. The 200-room property will bring music offerings and amenities to one of Florida’s most well-known destinations. “From the gorgeous beaches to the NASCAR races that draw in hundreds of thousands of people each year, we’re thrilled to bring our product to visitors and locals alike in Daytona Beach,” said Marco Roca, Executive Vice President of global hotel development at Hard Rock International. Hard Rock Hotel Daytona Beach will provide 20,000 sq. ft. of indoor and outdoor meeting space, including bright meeting rooms with views of the Atlantic Ocean and an open-air terrace suitable for any meeting or special event needs. Hard Rock Hotel Daytona Beach will offer an array of amenities where guests will enjoy all-day dining, 24-hour in-room dining, a grab-and-go coffee shop and a poolside bar and grill. The beachfront property will include an expansive swimming pool and deck, offering guests panoramic views of the Atlantic Ocean. In addition to the hotel’s beachfront activities, guests will enjoy nearby outdoor experiences, ranging from paddle boarding on the Halifax River to deep-sea fishing out of the Ponce de Leon Inlet. Daytona Beach was noted in the Florida spotlight of the 2016-2017 Winter edition of Facilities & Destinations magazine. 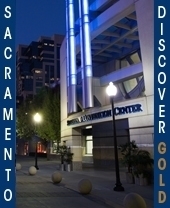 It’s convention center – The Ocean Center – is located on the beach and provides attendees the opportunity to partake in all the destination has to offer.